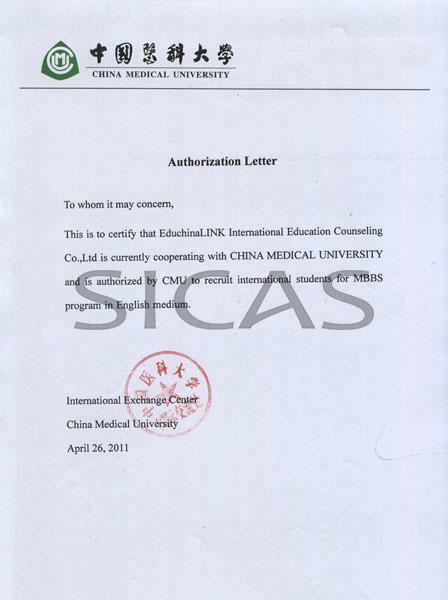 China Medical University is directly affiliated to Education of Ministry, School management system in 2000 into a central and local governments to build, to the Liaoning Provincial People's Government management.International students who Study in China Medical University will enjoy a high-quality study. China Medical University (CMU) was the first medical university established by the Chinese Communist Party. Its precursor was the Chinese Workers'-Peasants' Red Army Military Medical School and Chinese Workers'-Peasants' Red Army Health School founded in 1931. So far CMU has established good exchange and co-operation relations with 45 universities, institutes and institutions in Japan, USA, UK, France, Russia and Canada etc. 195 internationally famous scientists have been conferred honorary titles of CMU.CMU is famous for its English-taught MBBS course which attracts about 1000 student applications each year, so the competition for entrance is extremely fierce . So grab your suitcase and join CMU promptly.